California - It's one thing when a community meeting about marijuana happens at the Mateel, quite another when one's held at the Eureka Rotary Club. The latter took place today at the Eureka Elks Lodge, providing a rather lively juxtaposition of Humboldt subcultures that don't often share a meatloaf lunch. A diverse panel of stakeholders made statements and took questions from an even more diverse public, including a concerned pediatrician and an impassioned Presbyterian pastor with opposing views on legalization. This cannabis legalization forum was largely organized by Rotarian, political insider and LoCO columnist Matthew Owen, who invited a panel that included Sheriff Mike Downey, DA-elect Maggie Fleming, Environmental Protection Information Center (EPIC) Executive Director Natalynne DeLapp, Harbor District Commissioner and local cannabis PAC organizer Richard Marks and cannabis businessmen/activists Kevin Jodrey and Luke Bruner. Owen started the presentation by pulling some items out of a Safeway shopping bag sitting at his feet beside the podium. First came a wine bottle. "I wanted to bring up [that] our Rotary president, Gregg Gardiner, is a partner in Riverbend Cellars, a local winery," Owen said. Next out of the bag was a six-pack of Eight-ball Stout. "The Rotary Club of Eureka recently took a tour of Barbara Groom's Lost Coast Brewery expansion," he noted. Next was a bottle of vodka from Humboldt Distillery, a business recently launched by "local entrepreneurs," Owen said. He went on to outline the various health, social and criminal repercussions of alcohol abuse and told folks that, "It was only 81 years ago that our sheriff would have arrested you and our district attorney would have prosecuted you for buying, selling or transporting alcohol. Things change." Owen went on to address the health hazards of cigarettes and prescription drugs. "What do all these drugs have in common? And alcohol and tobacco and opiates?" he asked. "They're all legal, regulated, controlled and taxed, which brings us to our subject today." Owen claimed that marijuana is a $4 billion ("with a 'b'") business in Humboldt County alone and said the forum offered folks a chance to discuss legalization. "We all know it's coming," he said. 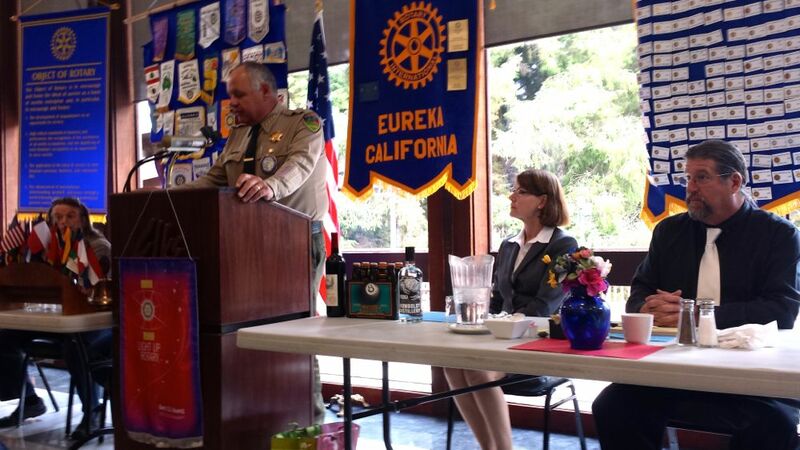 Sheriff Downey was more reticent, telling the crowd that he wouldn't share his personal views on the subject. "But what doesn't work," he said, "is what we've been doing." Society needs to go one way or the other, he said – either legalize and regulate marijuana or fully fund law enforcement's efforts to combat illegal grows. Kevin Jodrey, the director of Wonderland Nursery in Garberville, piggy-backed on Downey's point by saying industry professionals also desire a change in the status quo "so we know how to behave and how to proceed." If there was one thing that everyone on the panel agreed on it was that marijuana production in Humboldt County is having a devastating impact on the environment. DeLapp, the director of EPIC, said our forests, wildlife and water are being directly impacted by unregulated and illegal grows – "a lot of really, really egregious impacts that we cannot let happen to our community." Fleming agreed, suggesting that regulations and enforcement should focus on water and land use. Marks said that allowing legitimate medical cannabis producers into the sunshine would allow them "to be humanized by this community instead of ostracized." Luke Bruner, the treasurer of the local political action committee California Cannabis Voice Humboldt, said his focus was on community integration. "And I can think of no better place for this sort of meeting to take place than a Rotary Club," he said. There are people in the cannabis community who would like to go to Rotary meetings, Bruner suggested, adding that meetings like this one will encourage such folks to be "best actors" in the larger community. When the floor was opened up to questions it became clear that not everyone is comfortable with the calls for legalization. The first man with the mic wanted Downey to talk more about increased funding for enforcement – how much are we talking about? Sounding nostalgic, Downey said there was a time, 30 years ago, when the region had "a very vibrant enforcement program." No longer. He acknowledged that such an effort would be an expensive proposition. Kitty Poterack, a local pediatrician, stood up and delivered a lengthy jeremiad on "the collateral damage of our irrational drug laws." Included in that category, she said, is the anxiety and depression suffered by one of her child patients ever since her family's home was "raided" in a marijuana search. She expressed gratitude to those standing up for legalization. Poterack was followed by Dan Price, pastor of First Presbyterian Church of Eureka, who offered a decidedly different opinion. He said growers claim to have "a panacea drug that's not harming anybody" when the reputable scientific studies say otherwise. "I want you all to listen to me," Price said. "What marijuana does to the brains and mental health of adolescents who chronically use it is, one, it lowers IQ. ... And when people talk on the radio I think, 'Well, you're exhibit A.'" This line drew a few hearty guffaws. 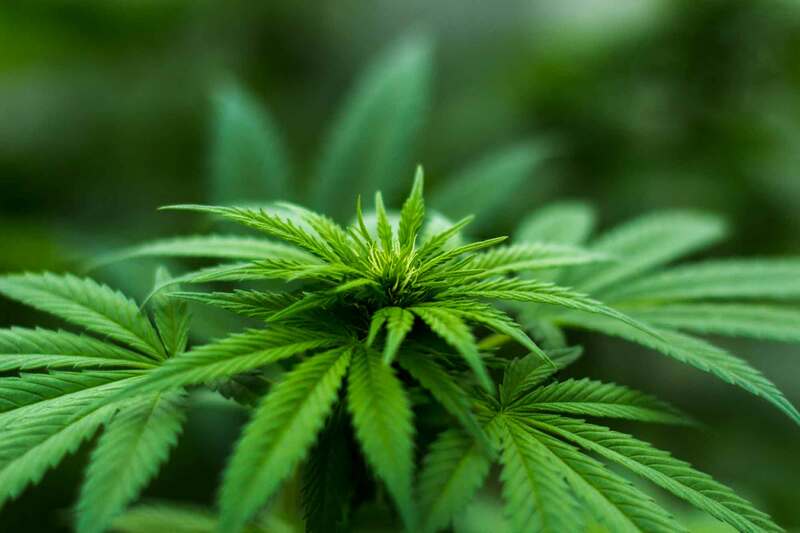 Price also said regular marijuana smoking dramatically increases a teenager's risk of developing bipolar disease and schizophrenia – a claim that's far from scientific consensus. "If you legalize it," Price asked, "how are you going to keep teens from saying, 'Oh, well it's legal. It must be good for me'?" "By moving it into the light of day," Bruner responded. He argued that no one's advocating giving weed to teens and said parents and schools have seen success with anti-smoking and anti-drinking campaigns because they're able to discuss them openly and honestly. Marks, Fleming and DeLapp each suggested that regulation and taxation could generate revenue for the county, a point that seemed to please many in attendance. Oakland, Fleming said, is taxing dispensaries at a whopping 18 percent rate. But Downey argued that there's still a big "sleeping dog" on the issue – federal prohibition. Eighteen years after the passage of Prop. 215 his office still gets pressure from federal law enforcement to crack down on marijuana, he said, and until there's a national referendum there's no telling what the feds will do. "We're still treading in the unknown out there," Downey said.